Alright, so if you haven’t learned by now, I LOVE BAKING! Cakes, Cupcakes, Pies, Cookies, anything! I’ve recently been pushing myself to get more creative with this hobby of mine! So I decided that I would dedicate this page to sharing with you all the treats I come up with! My Niece & Nephew turned the big ONE a couple weeks ago, it’s crazy to believe they aren’t little babies anymore! Since their birthdays are only 11 days apart, I was quite busy making sure their first birthday cake experience was perfect! 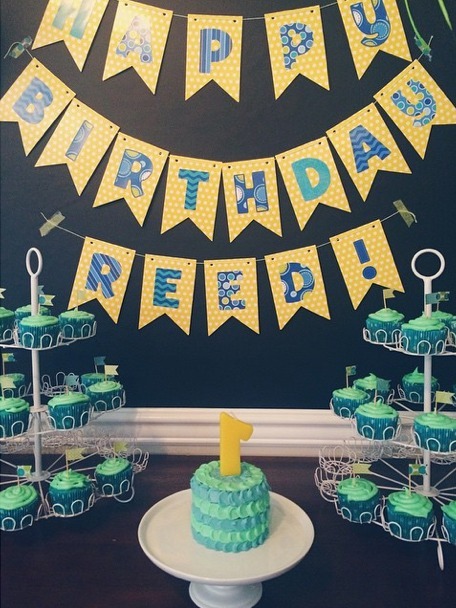 For Reed I made a blue velvet cake with a fun frosting design with alternating greens & blues to match the color scheme! 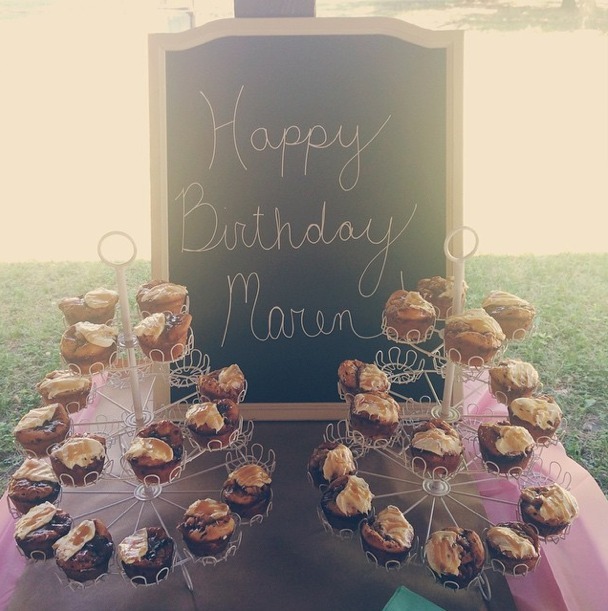 For Maren, my sister threw a picnic themed party so I made apple pie cupcakes to match! 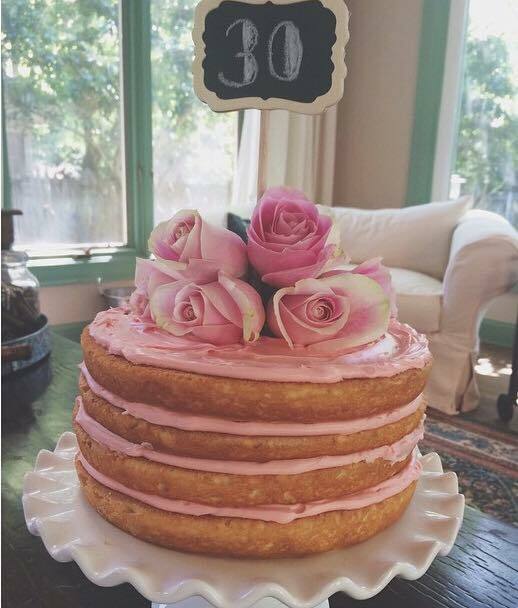 This is a cake I made for my sister Kelsey’s 30th birthday last weekend! I’ve always loved naked cakes and wanted to try my hand at it! It was really quite simple! I just made 2 full sized almond pound cakes and then halved each of them to create 4 layers. Then I took creamy vanilla icing, added red food coloring until the right shade of pink and covered the tops of each layer! To top it off I took some pink roses to pull the entire look together! We recently had a Pinkapalooza Event for Victioria’s Secret to continue the fun vibes that come with Coachella! 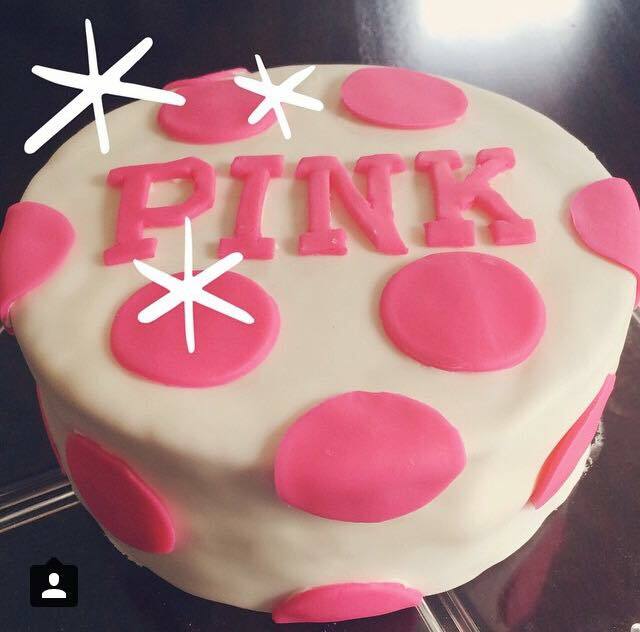 I was asked to design a cake that would reflect the spirit of the PINK brand! I made 3 layers of vanilla cake and then covered with my homemade marshmallow fondant! I think it embodied the perfect amount of the brand to get everyone excited!